Indonesia, the third-biggest democracy in the world, will hold presidential elections next April. 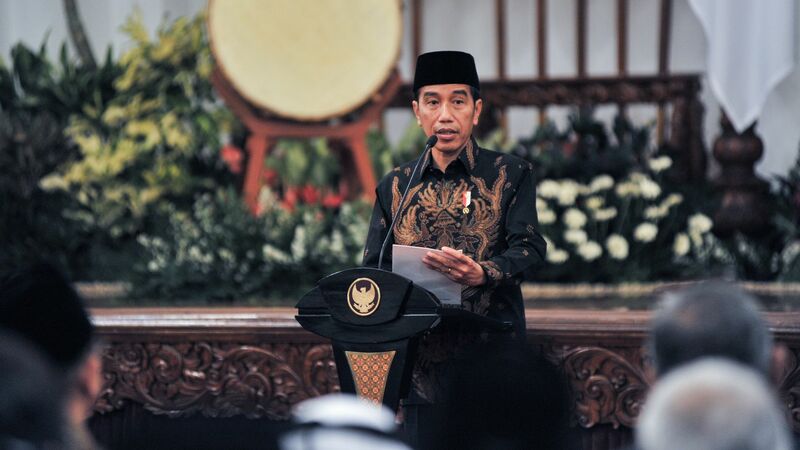 Since the late 1990s, when the economy crashed, the corrupt Suharto dictatorship collapsed, and the country appeared to be falling into chaos, Indonesia has stabilized and held multiple free presidential elections. Yes, but: Although the country has made enormous progress since 1998, potential dangers remain. Islamist groups, many allied with a Trump-like populist former lieutenant general, have recently gained power, and the elections could put Indonesia on a democratic backslide. The background: Last year, Islamist groups spearheaded a smear campaign and massive rallies to unseat Jakarta’s Christian, ethnic Chinese governor, who eventually wound up in jail for blasphemy. These same groups may use their growing power in the Indonesian streets, and the threat of a fragile economy, to defeat the current president, Joko Widodo, known as Jokowi. Jokowi’s challenger, Prabowo Subianto, seems to relish the idea of ruling as a strongman. A former lieutenant general and Suharto’s erstwhile son-in-law, Prabowo has repeatedly suggested rolling back Indonesian democracy. On the campaign trail, he is likely to broadcast a nationalistic platform and possibly stoke anti-minority sentiment, which could easily spread in a country with the fourth-largest number of Facebook users in the world and a long history of violence against ethnic minorities. What to watch: Indonesia is less fragile than countries such as Turkey. But if a global emerging markets crisis hits and investors come hunting harder for Indonesia, and Jokowi and his economic team cannot respond effectively, economic fears — combined with Prabowo’s support from powerful Islamist groups — could put the former army man over the top. The bottom line: If Prabowo wins, it might signal that populism, with authoritarian elements, will have started to take over Southeast Asia. Such a shift might make an already combustible region even hotter, and undermine the stability of the anchor of Southeast Asia.